Discussions around internationalisation in Higher Degree Research (HDR) supervision have advocated a “deparochialising” (Lingard in Globalisation, Societies and Education 4(2):287–302, 2006, p. 187) of research education for international students via approaches that make use of students’ existing language, culture and theoretical knowledge. 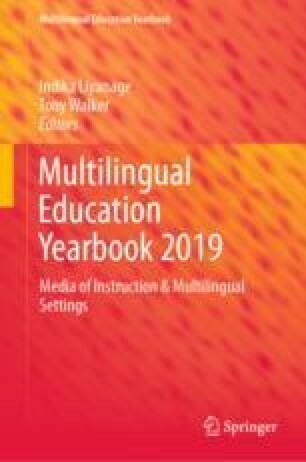 Ideas include taking up reflexive and collaborative learning (Ryan in Teachers and Teaching 17(6):631–648, 2011) and HDR supervisors of international students being open to translanguaging (Li & García in Research methods in language and education. Encyclopedia of Language and Education. Springer, Cham, Switzerland, pp. 1–14, 2016) and transculturation practices (Choy, Singh, & Li in Education Sciences, 7(19), 2017). We explore interview data from international HDR students from language backgrounds other than English and some English speaking HDR supervisors working with international HDR students to document their assumptions about translanguaging and transculturation practices. The transcripts reveal these are regular practices for these participants. Both sets of participants agree that translanguaging and transculturation practices (i) enhance the specificity of the communication, (ii) promote the expertise of the HDR student, (iii) provide two-way learning, and (iv) feed into new knowledge generating practices. Translanguaging and transculturation practices are thus more than the reciprocal exchange of ideas; they are new forms of pedagogic processes whereby communicative work changes research processes, practices and systems of knowledge production, transfer, and acquisition that benefit both the HDR student and the HDR supervisor.